Our thrilling open spiral slides are the source of absolute fun and excitement!! The circular turns can make any kid giggle with joy. The unique design makes the spiral slide stand out from the ordinary slides; which makes it the centre of attraction! Our delicate slides offer a secured and happy play time. Kids will be amazed to repeat the ride and have a wonderful leisure time at the play area. 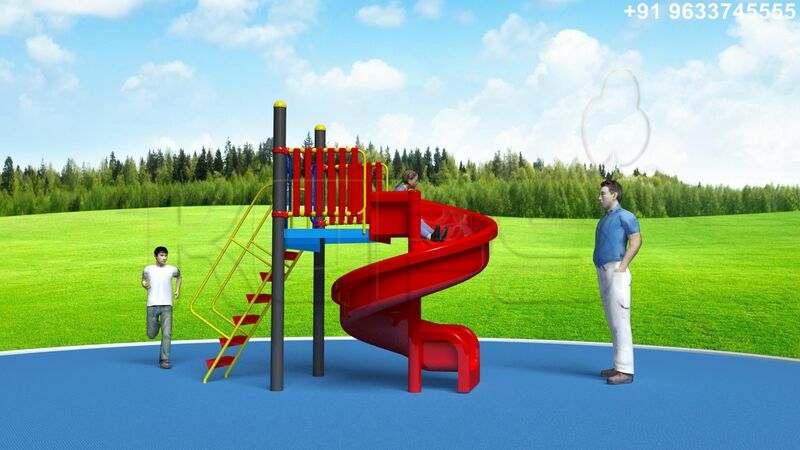 We offer three different spiral slides, which promise safe and playful sliding.